Looking for a healthy alternative to conventional table sugar that’s much lower in carbohydrates? Xylitol is an outstanding choice! This sugar alcohol is derived from fruits, is approximately 50% less sweet than sugar, and has a much lower glycemic rating. As a result, it metabolizes slower in the body and helps support healthy blood/glucose levels. Extensive clinical studies continue to demonstrate that Xylitol is 100% natural and completely safe for both adults and children. Try some today and see for yourself! What is Xylitol? Xylitol is a naturally occurring low-calorie sweetener found in fruits, vegetables and certain hardwoods. Our bodies can produce up to 15 grams of Xylitol from other foods we ingest daily. This sweetener is not a newcomer in the marketplace. Initially discovered by a German scientist in 1891, sugar shortages caused by World War II stimulated a group of innovative folks from Finland to rediscover this wonderful sugar substitute. They called it “koivusokeri” or “birch sugar” because they derived it from a fiber found in birch tree bark. By the 1960s, Xylitol was being used in Europe, the Soviet Union and Japan. Today it’s used in the USA as a sweetener that’s approved by the FDA and the ADA. Though Xylitol is commercially manufactured from the cellulose of wood, cane pulp, seed hulls or cornhusk; NOW Foods Xylitol is made from cornhusk. 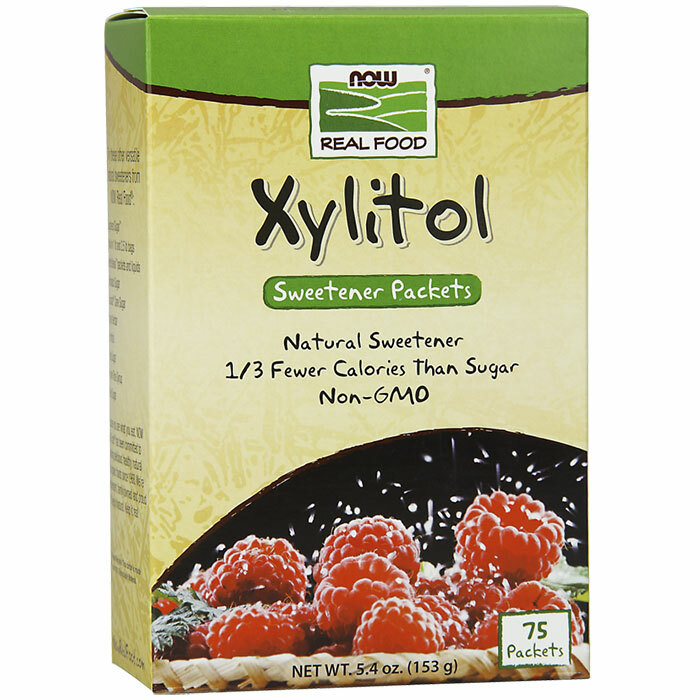 What’s the difference between Xylitol and regular table sugar? 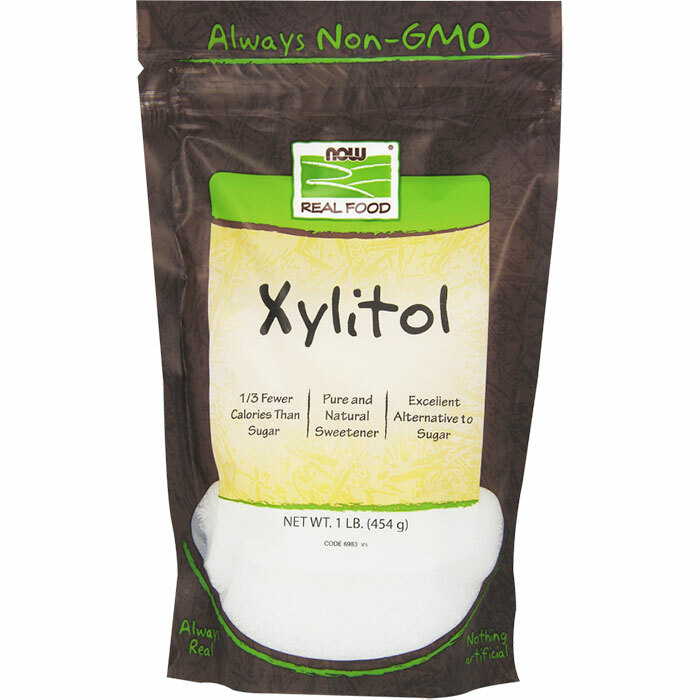 Xylitol is technically not a sugar but rather a sugar alcohol (polyol). Unlike other well-known sugars like sucrose, fructose, sorbitol and dextrose that have 6 carbon atoms, Xylitol contains only 5 carbon atoms. Unlike sugar Xylitol is slowly absorbed, does not cause a rapid blood sugar increase and does not require an immediate insulin response from the body to be metabolized. Its unique characteristic accounts for the fact that this reduced calorie sweetener boasts 40% less caloric impact at 2.4 calories per gram versus 4 calories for sugar. Xylitol provides approximately the same sweetness as sugar with a slight cool sensation. Are there any other health benefits that can attributed to Xylitol? Many Clinical and field tests have proven that the consumption of Xylitol combined with proper oral hygiene significantly reduces new dental caries (cavities). It accomplishes this anti-cavity function via a couple of mechanisms. Food containing refined sugar is an energy source for bacteria like Streptococcus mutans that quickly multiply and produce harmful acids. When the pH of the bacterial laden saliva drops too far below a safe neutral level of 7, the calcium and phosphate elements of your tooth enamel start to dissolve and form small pores. This is the beginning of cavity formation. Because it doesn’t ferment, Xylitol is not a food source for these acid-producing bacteria. The bacteria count is reduced, the healthy neutral pH of the saliva is preserved and cavity formation is stopped in its tracks. Xylitol increases the flow of our naturally alkaline saliva that’s used to rinse the teeth of acids as well as helping to remineralize the enamel. Supplement Facts Serving Size 1 tsp (4 g) Amount Per Serving % Daily Value Calories 10 Calories from Fat 0 Total fat 0 g 0 % Total Carboyhydrate 4 g 1% Sugars 0 g Sugar Alcohol 4 g Sodium 0 mg 0% Protein 0 g Ingredients: 100% Pure Xylitol Powder Warnings: Diarrhea may occur with excessive consumption. If this happens, reduce intake or discontinue use. Disclaimers: This statement has not been evaluated by the FDA. This product is not intended to diagnose, treat, cure or prevent any disease. Organic Virgin Coconut Oil is a high grade, unrefined premium nutritional edible oil obtained from the first cold pressing of organic coconut (Cocos nucifera) kernels. Virgin Coconut Oil is naturally trans-fatty acid free and high in medium chain triglycerides (MCT). This oil typically contains the following beneficial fatty acids per serving (natural variation may occur): Lauric Acid 6.5 g, Myristic Acid 2.4 g, Caprylic Acid 1.0 g, Capric Acid 800 mg, Oleic Acid 800 mg and Linoleic Acid 200 mg. Supplement Facts Serving Size: 1 Tablespoon (15 mL) Amount Per Serving % Daily Value Calories 120 Calories from Fat 120 Total Fat 14 g 20% Saturated Fat 12 g 60% Polyunsaturated Fat 200 mg Monounsaturated Fat 800 mg Suggested Use: As a dietary supplement, take one tablespoon of Virgin Coconut Oil 1-2 times daily with meals. This organic Virgin Coconut Oil can also be used in salad dressings, sauces, or any type of cooking as a source of essential fatty acids. Free of: sugar, salt, starch, yeast, wheat , gluten, corn, soy, milk, egg, alcohol, coloring, flavoring or artifical preservatives. Other Ingredients: Organic Virgin Coconut Oil. Vegetarian Formula. Certified Organic by Quality Assurance International Storage Guidance: Store in a cool, dry and dark environment in a tightly sealed original container. After opening, product can be refrigerated or stored at cool room temperature. This product may begin to solidify at temperatures below 78 degrees F (26 degrees C). NOW Organic Virgin Coconut Oil is a high grade, unrefined premium nutritional edible oil obtained from the first cold pressing of organic coconut (Cocos nucifera) kernels. 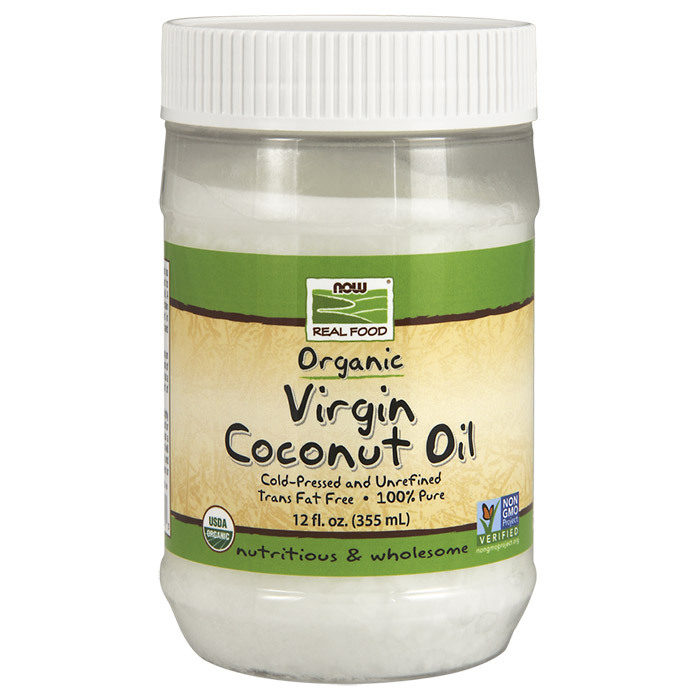 Virgin Coconut Oil is naturally trans-fatty acid free and high in medium chain triglycerides (MCT). This oil typically contains the following beneficial fatty acids per serving (natural variation may occur): Lauric Acid 6.5 g, Myristic Acid 2.4 g, Caprylic Acid 1.0 g, Capric Acid 800 mg, Oleic Acid 800 mg and Linoleic Acid 200 mg. Nutrition Info Serving Size: 1 Tablespoon (15 mL) Calories 120 Calories from Fat 120 Total Fat 14 g 20% Saturated Fat 12 g 60% Polyunsaturated Fat 200 mg. Monounsaturated Fat 800 mg Suggested Use: As a dietary supplement, take one tablespoon 1-2 times daily with meals. This organic Virgin Coconut Oil can also be used in salad dressings, sauces, or any type of cooking as a source of essential fatty acids. Free of: sugar, salt, starch, yeast, wheat , gluten, corn, soy, milk, egg, alcohol, coloring, flavoring or artifical preservatives. Ingredients: Organic Virgin Coconut Oil. 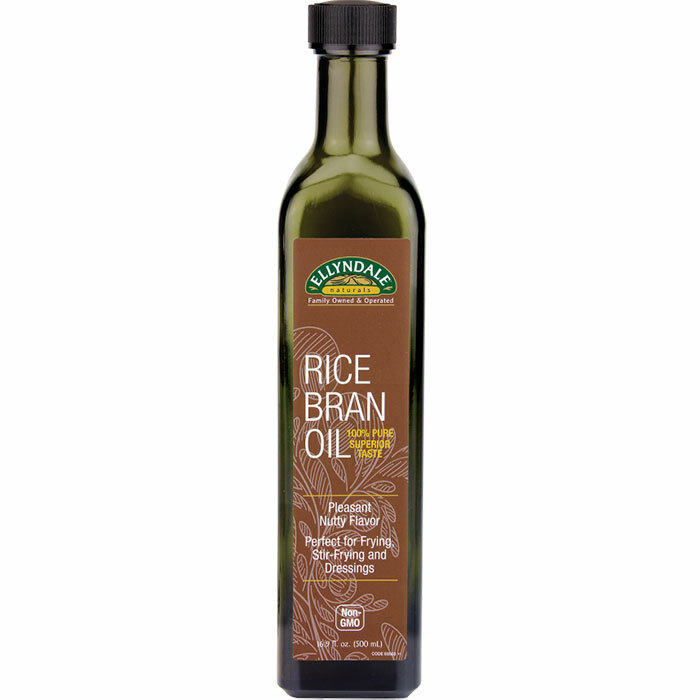 Rice Bran Oil – Organic, Non-GE Rice Bran Oil is a high-grade vegetable oil with some very unique and health-promoting characteristics that is excellent for use on salads or as a cooking oil. 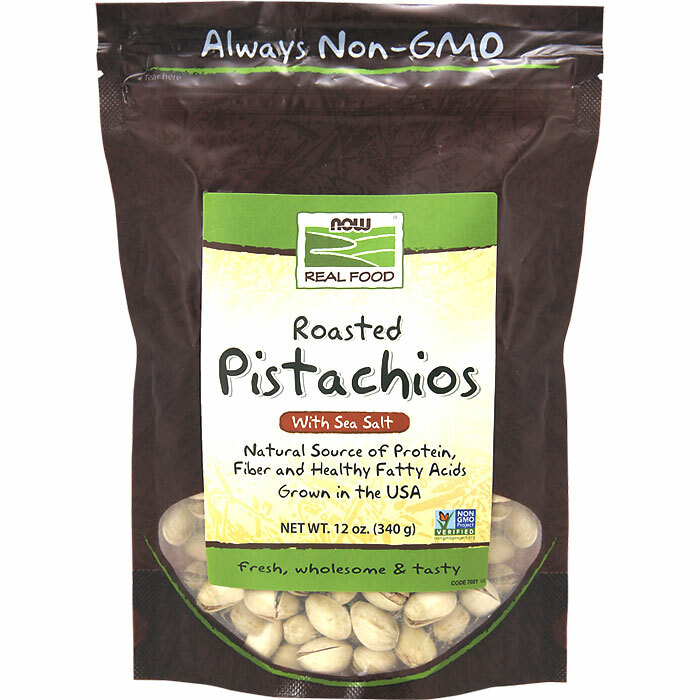 It doesn’t require hydrogenation for stability and has a high percentage of fatty acids. (Oleic -46%, Linoleic- 36%, and Linolenic – 1%). It has a pleasant nutty aroma and taste that complements the flavor of many foods and it’s excellent cooking characteristics (high flash point and low smoke) make it ideal for frying and stir-frying applications. Many gourmet Asian restaurants have switched to Rice Bran Oil for these reasons. Now you can make the switch to high-quality Rice Bran Oil from NOW®. Nutrition Info Serving Size: 1 TBSP (15 mL) Servings Per Container: 31 Amount Per Serving % Daily Value Calories 125 Calories from Fat 125 Total Fat 14 g 22% Saturated Fat 2.5 g 12% Polyunsaturated Fat 5 g Monounsaturated Fat 6 g Cholesterol 0 mg 0% Sodium 0 mg 0% Total Carbohydrate 0 g 0% Dietary Fiber 0 g 0% Sugars 0 g Protein 0 g Vitamin A 0% Vitamin C 0% Calcium 0% Iron 0% Vitamin E 25% Typical Fatty Acid Profile Palmitic Acid 190 mg Stearic Acid 2.5 g Oleic Acid 6.5 g Linoleic Acid 5 g Linolenic Acid 135 mg Tocotrienols 3.5 mg Phytosterols 90 mg Suggested Use: Use on salads or as a cooking oil. 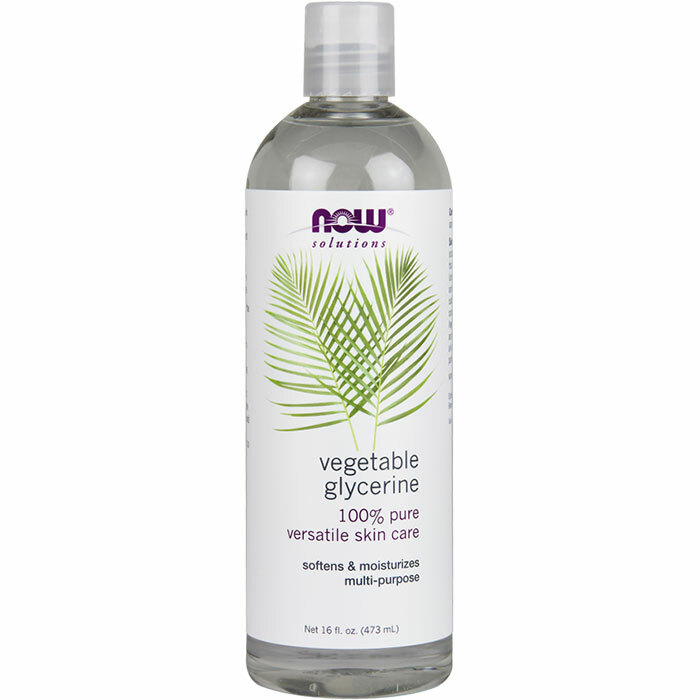 Ingredients: 100% Pure Rice Bran Oil (made from Non-GE Rice Bran) (Oryza sativa). Warnings: Please use caution when heating oils and fats. Please note: Oil burns if overheated. DO NOT leave oil unattended when heating. DO NOT pour water on hot or flaming oil, DO NOT pour hot oil into any plastic bottle. Disclaimers: Since this oil is non-winterized, it may become cloudy or begin to solidify upon cooling. This however, does not affect the quality of the product and it will return to its normal clear liquid state when brought back to room temperature. Shake well before use. Store in a cool, dry and dark place. These Pineapple Rings are dried naturally. 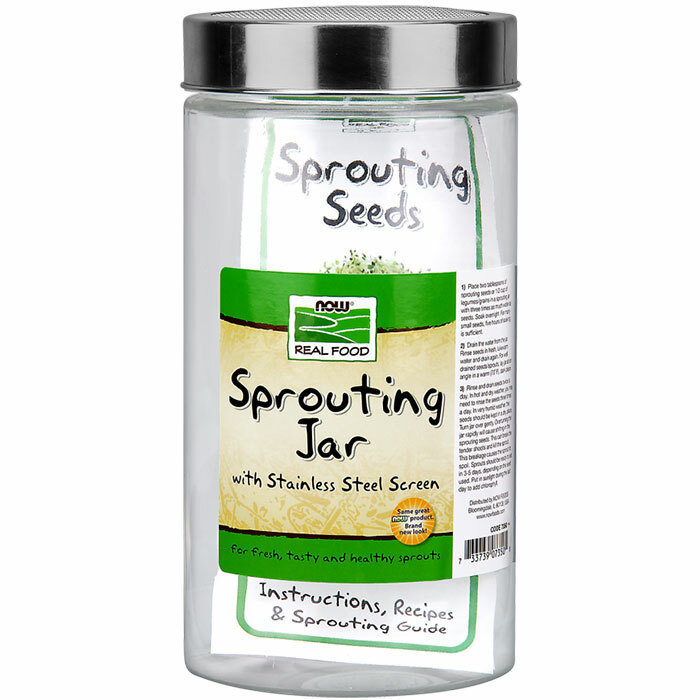 Enjoy their natural sweetness as is or chop and add to baked goods or cereals. Nutrition Info Serving Size: 2 slices Amount Per Serving % Daily Value Calories 140 Calories from Fat 0 Total Fat 0 g 0% Saturated Fat 0 g 0% Cholesterol 0 mg 0% Sodium 7 mg 0% Total Carbohydrates 17 g 10% Dietary Fiber 3 g 12% Sugars 15 g Protein 0 g Vitamin A 0% Vitamin C 2% Calcium 2% Iron 2% Ingredients: Pineapple Free of: This product contains no added sulfur, however, naturally occurring sulfites may be present. You are currently browsing the archives for the Foods category.